Symptoms for Rett Syndrome may not reveal themselves from six months until 18 months after a female infant is born. One day your child is healthy and happy, grasping for things as babies do. The next day you notice she’s having trouble speaking, moving, breathing and even having uncontrollable temper tantrums. These are just some of the symptoms of Rett Syndrome, a neurological disorder primarily affecting girls. A mutated gene may be the cause for this disorder that affects all racial and ethnic groups around the world. That’s why it’s important to know about Rett Syndrome Awareness Month in October. ​In October, seven drug trials were conducted at the same time with the goal of improving the quality of life for those with Rett Syndrome. 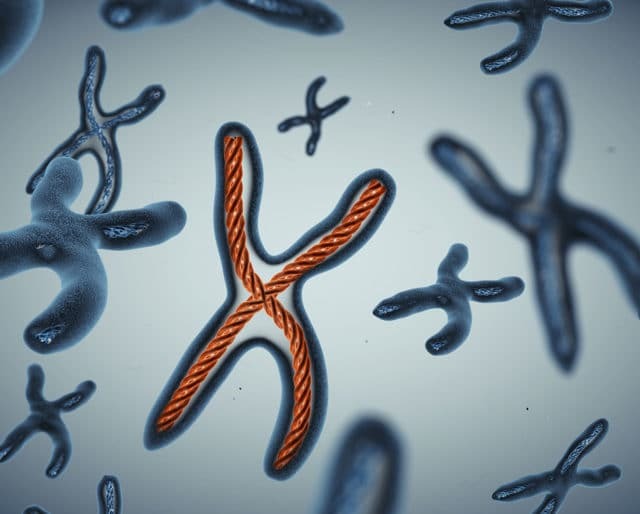 ​Ruthie Amir, a Baylor University research fellow, discovers the MECP2 gene linked to the X chromosome that causes Rett Syndrome. ​A Swedish pediatrician, Dr. Bengt Hagberg, highlights Rett Syndrome in the "Annals of Neurology," an English language publication. ​Dr. Rett publishes his findings detailing a new neurological disorder, self-named Rett Syndrome. ​Dr. Andreas Rett, an Austrian pediatrician, is intrigued when he observes two young girls making repetitive hand-washing motions and decides to collect data on them for a study. You can't get in the spirit of Rett Syndrome Awareness Month without joining a strollathon. This is the biggest fundraising event of the year. Participants walk, stroll or roll in a wheelchair while enjoying beautiful scenery along a river or some other amazing location. Lady Luck may even make you the raffle winner. In 1994, the governor of Illinois issued a proclamation designating October as Rett Syndrome Awareness Month. Get a proclamation in your state and you might snag some positive media coverage on this devastating disorder. Gather together a group of parents, health educators, and others involved as backup for your efforts. You can do this. Full spectrum research is leading the most effective attacks in the war against Rett Syndrome. Advances are being made with biochemical, neurological, and genetic research. By throwing everything at the disorder, doctors and scientists are making important strides forward in finding a definitive cure. ​One of the most frustrating things about studying the gene mutation is that it occurs with conception and other family members may not experience it. Many live satisfying lives well past middle age and into their later years. ​Unlike other kinds of disorders, Rett Syndrome babies seem completely normal until symptoms appear between six and 18 months after a female child is born. ​Rett Syndrome symptoms can include scoliosis, irregular breathing during the day, and sleep disturbances at night. People impacted by Rett Syndrome can improve immeasurably with the love, understanding and support of their family and friends. Although Rett Syndrome is not degenerative, but neurological, in nature — the disorder is often mistaken for other kinds of problems. Many of the symptoms involve the decline or lack of cognitive, sensory, emotional, and motor skills. Physicians unfamiliar with Rett Syndrome may diagnose autism, cerebral palsy, or non-developmental delay. MECP2 is the result of a mutation by an X chromosome on a gene. Doctors believe that this mutation is what causes Rett Syndrome. To be sure that the symptoms are really Rett Syndrome, doctors can confirm the gene mutation with a simple blood test. Because the disorder has a variety of symptoms, in addition to the blood test, doctors also want a molecular diagnosis. One of the biggest mysteries about Rett Syndrome is that boys are rarely afflicted with it. One in every 10,000 female infants is at risk for the disorder. Boys, on the other hand, can get it but the incidents are so rare, the numbers aren't really tracked.